Which model of hazardous substance cabinet do you need? 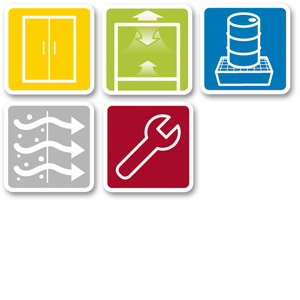 Here you can find basic brief information for product orientation in the area of asecos safety storage cabinets. You will be able to quickly find the right safety storage cabinet category for storage of your hazardous materials. Safe storage of lithium-ion batteries: Safety storage cabinets for active and passive storage of lithium-ion batteries with fire protection from the outside-in and from the inside-out. 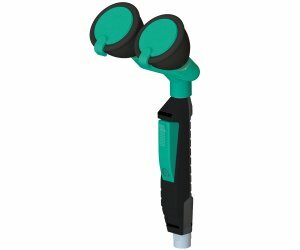 Robust and durable models in 3 different versions, with complete locking mechanism and status indicator. Cabinets with safety system: Depending on the model, the ION-LINE is equipped with a high-quality 3-stage warning/fire suppression system in the cabinet interior. Same storage volume as standard cabinets – but only half the cabinet width. V-LINE safety storage cabinets with innovative vertical drawer technology for maximum operating comfort. Perfect overview of stored flammable hazardous materials with access on both sides to all stored containers. Electromotor opens and closes the vertical drawers easily with the push of a button. 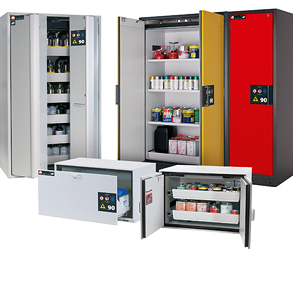 Proven all-rounder: Safety storage cabinets for the storage of flammable hazardous materials - in different sizes and various interior equipment versions. Three in one combi safety storage cabinet for the storage of aggressive and flammable hazardous substances in several hermetically separated storage compartments. The giant: Drum cabinets for the storage of flammable hazardous substances in large containers and 200 litre drums. Safety storage under bench cabinets for the storage of flammable hazardous substances - perfectly under fume cupboards! 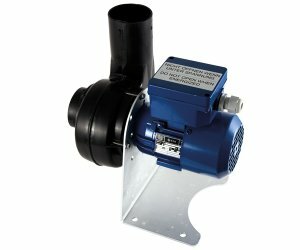 Large product range for a variety of applications. Safety storage under bench cabinet with refrigerating unit and recirculating air filter system. Robust and durable cabinets for acids and alkalis for the storage of aggressive, non-flammable hazardous materials in two hermetically divided storage compartments incl. a vertical/horizontal dividing wall. Robust and durable chemical cabinets for the storage of aggressive, non-flammable hazardous materials. Large range of door variants and product models for a variety of applications. Environmental cabinets for the storage of water pollutant liquids. 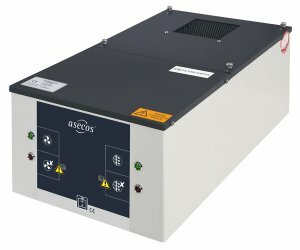 The environmental cabinets are also available with a Type 30 safety box. Multifunctional recirculating air filter storage cabinets enable the common storage of the most diverse hazardous materials in one cabinet. Vapours that are harmful to health are extracted and filtered at the same time. offer maximum safety when storing gas cylinders – up to 90 minutes fire resistance (depending on the model). UFA-LINE recirculating air filter systems with integrated air exhaust monitoring for tall safety storage cabinets, safety storage under bench cabinets, drum cabinets. Safe capturing of escaping vapours at the point where they are released or produced. Extraction module for technical ventilation of up to 4 safety storage cabinets. Safe capturing of escaping vapours and gases at the point where they are released or produced. Extraction units/modules for installation on the cabinet or wall mounting – ready to plug-in, easy and quick installation. 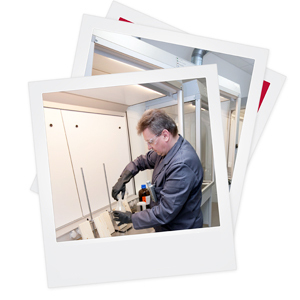 Exhaust air monitoring systems – quick installation on top of the safety storage cabinet for a safe and reliable monitoring of the exhaust air. Fans for a powerful and safe ventilation of safety storage cabinets. Hazardous material work stations with fresh air curtain. 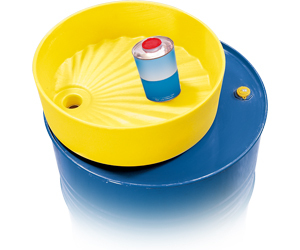 Available in a wide variety for different applications when handling hazardous materials. Hazardous material work station for weighing and portioning of compounds. 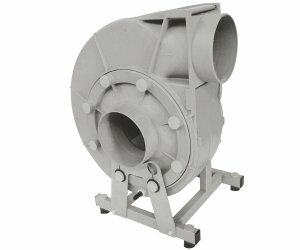 Radial fans for a safe technical ventilation of hazardous material work stations in accordance with regulations. Pharmaceutical exhausts for safe handling of chemicals, protection from hazardous vapours and potentially explosive atmospheres. Safe working with open containers or other sources of harmful substances/vapours. 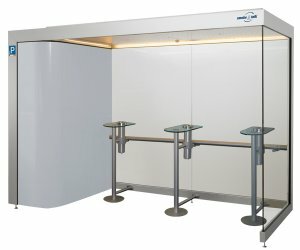 The smoke & talk smoking cabins with their innovative technology for "clean air" enable open communication between smokers and non-smokers and comply with the legal requirements for non-smoker protection. 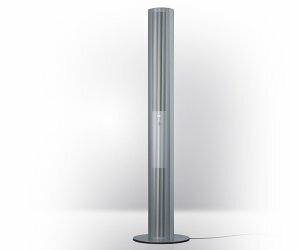 Air purifiers clean the tobacco-smoke-polluted air in smoking rooms and remove harmful substances from the room air of different interior rooms. 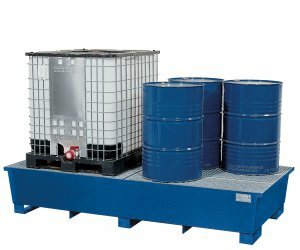 Steel sump pallets for the storage of flammable substances and/or water pollutants such as oils, varnishes, etc. or polyethylene sump pallets for the storage of non-flammable, water pollutants, aggressive substances such as acids and bases. 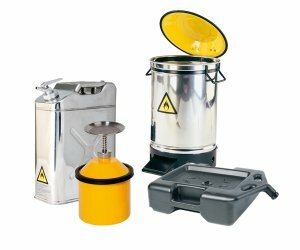 Safety containers improve the occupational safety when handling hazardous materials. Different drum accessories for a safe handling of drums. The absorbents for a safe absorption and reduction of leakage are available in several versions and formats for a wide range of applications. Eye showers and body showers - fast first aid in case of chemical burns. Only those who know the risks when handling hazardous materials are able to avoid them. 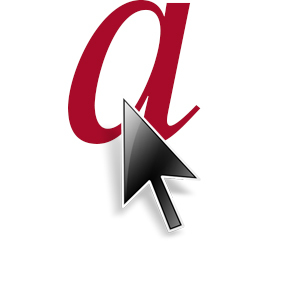 This is the aim of the asecos academy. The academy provides valuable expert information and practice oriented training programs to help designing the safest possible workplace. 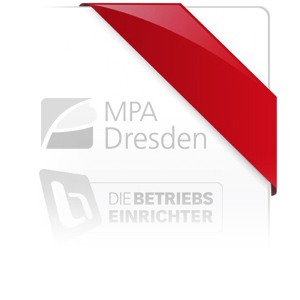 Catalogues & brochures with many novelties – for browsing online, downloading or ordering for free. 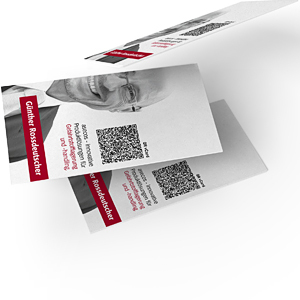 In our download area you will find all operating instructions, check lists and information sheets about our products, the storage of hazardous materials and occupational protection. Through practice oriented and realistic training programs our experts make aware of the dangers associated with handling hazardous materials, because knowledge is still the best way to ensure a high degree of safety at work. Technical specifications, CAD drawings, BIM content, images, tender specifications, manuals, certificates and test reports on our products are available on our data platform. Use our media service to download all relevant data easily and quickly. 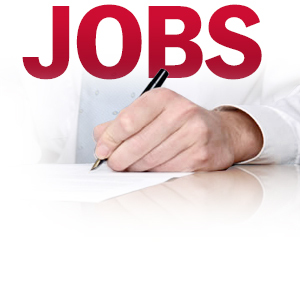 We offer you comprehensive services and best on-site support. Just get in touch. 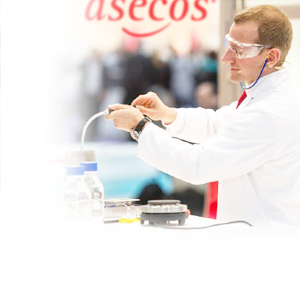 The name asecos is composed of the following words: approved | security | ecology | solutions – for safety and environmental protection in handling and storage of hazardous materials. 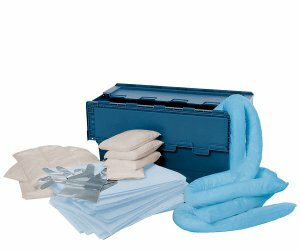 Your safety and the protection of your health are our incentive to develop products, that offer you the highest degree of protection and comfort in your daily work. 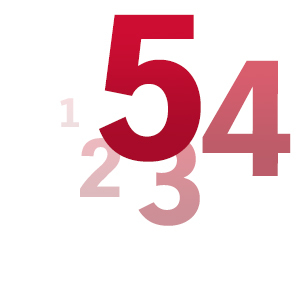 Innovations, safety and environmental protection in the handling of hazardous materials – this is what we work on with utmost commitment in five business divisions. 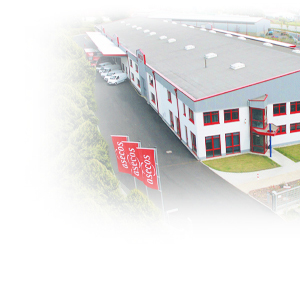 Employees with commitment and dedication - the basis of our company's success. The intense dialog with our customers and specialist suppliers gives us inspiration for new ideas and solution. Our core competence is the development, construction and fabrication of fire resistant safety storage cabinets. We offer you comprehensive services in conjunction with our range of products for hazardous material storage and handling. Just get in touch! A successful company needs strong partners. Get to know our partners and the associations in which we are members. Satisfied customers are the best reference. 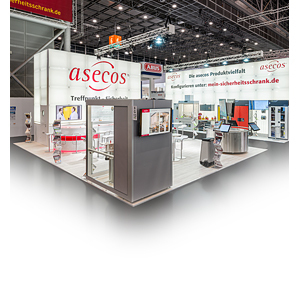 Below you will find a small excerpt from the list of companies that place their trust in the protection provided by asecos products. Welcome to asecos press section. 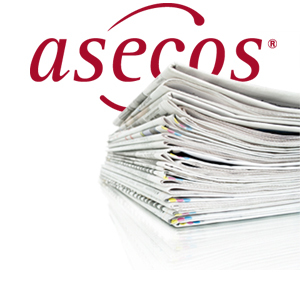 Here's where you'll find the latest asecos press releases and other resources for journalists. 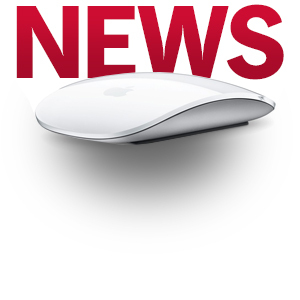 View the current news and information about our company and products! 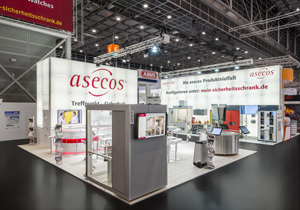 If you would like to personally get to know asecos and view our products from a close distance, we will be happy to welcome you as a visitor to one of the trade fairs or to a lecture. 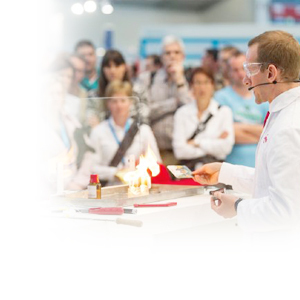 We are present at all important national and international specialist trade fairs and events. 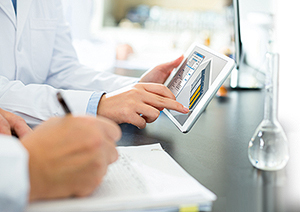 Convince yourself of the efficiency of our products and solutions. Visit us personally at one of our events or at a trade fair. Login with your username and password for further information.